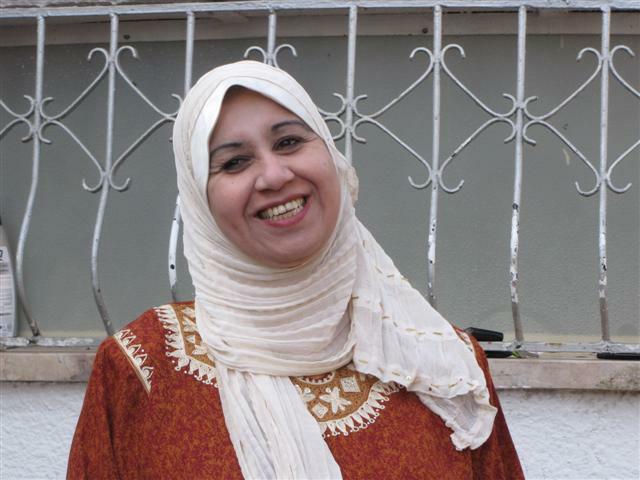 Safaa Dabour is a cultural hero within the Arab community in Nazareth. For decades, the Israeli Arab community did not have movie theaters and cultural centers, then along came Safaa Dabour who established the first cinematheque to serve that community. She is a strong and independent woman, the mother of two grown sons, a religious Muslim woman, a widow. The award-winning documentary portrait, Nazareth Cinema Lady, directed by Nurit Jacobs-Yinon, masterfully tells her story -- integrating the personal with the story of the Nazareth Cinematheque, which she established in 2003. Dabour talks about how people laughed at her when she said she wanted to establish the first movie theater to screen Arab films for Arab citizens. She desperately wanted her children to be proud of her, but it's a complicated and frustrating business for a woman in the international world of film. Sensitively produced and dramatically portrayed, we see her story take shape, as she talks about her difficulties with distributors, how she travels to Amman to collect films, her stormy relationship with her sons, and her traumatic attempt to expose corruption. There are battles that she wins, succeeding in screening films to fully sold-out audiences -- and battles that she loses, such as her fight with the franchise restaurant owner who insists on serving alcohol in the building of the cinematheque. This is a portrait of a charming, yet somewhat stubborn and immensely courageous, woman who sets her sights on fulfilling her vision for the Arab community of Nazareth. Nazareth Cinema Lady (documentary, 52 minutes) is available from JMT Films.